What Happens to Gold When Interest Rates Rise? The Fed finally acted this week – upping its benchmark Federal Funds rate by 0.25%. Now that the speculation over whether the Fed will hike has been put to rest, analysts are busily speculating about what the Fed's move means for the economy and markets. Many of these speculations are unfounded. It's time to bust some silly myths. 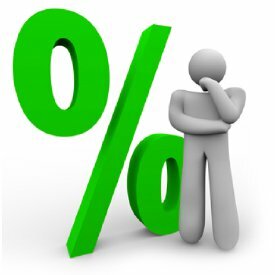 Much of what's spewed out in the financial media concerning interest rates is flat-out wrong, especially when it comes to their impact on precious metals markets. Since gold and silver are small markets compared to bonds and equities, some “analysts” apparently think they don't need to do actual research on precious metals markets before commenting on them. It's easier to regurgitate oft-repeated myths about rising rates being bad for gold than it is to actually check the data. Setting aside the fact that not everyone who holds gold incurs storage fees (it costs you nothing to keep gold coins in your own house), let's consider the core assertion that higher rates hurt gold. Recent history shows that assertion to be utterly false. The Fed's last rate-raising campaign occurred from June 2004 to June 2006. Over that period gold wasn't “hurt” at all. In fact, gold prices rose from under $400 an ounce in June 2004 to over $700 by May 2006. The historic run-up in gold and silver prices during the late 1970s coincided with the most aggressive rate-hiking effort in the Federal Reserve's history. 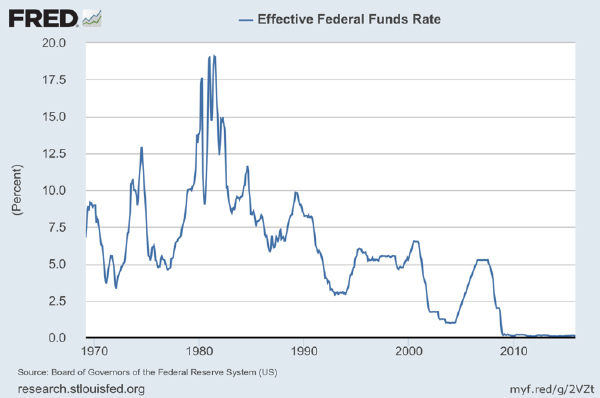 By the time gold and silver prices peaked in January 1980, the effective Federal Funds rate stood at 13.8%! The myth of rising rates being bad for hard assets persists in spite of data that show the exact opposite is true. During periods when the Fed tightens, the best performing asset class by far is commodities. According to Allianz Global Investors, commodities have produced average gains of more than 25% when rates were rising, based on data going back to 1983. Anyone who suggests that rising nominal interest rates make hard assets unappealing as investments hasn't looked at recent history and doesn't grasp that what matters are real (not nominal) interest rates. When the nominal rate set by the Fed is lower than the rate of inflation, then real rates are negative. In an environment where the Fed funds rate shot up to 10%, but price inflation was running at 15%, then “doesn't pay interest” gold would be fundamentally more attractive than cash at a -5% real rate. "Gold and silver usually rise during Fed rate-hiking campaigns because real interest rates remain negative." But if at some point investors start expecting inflation rates to fall below nominal interest rates (real rates to turn positive), then investors might flee gold for interest-bearing instruments. Recently, government-reported consumer price inflation rates have been extraordinarily low. The November reading on the Consumer Price Index showed price levels rising at an annual rate of just 0.5%. The Fed noted that “monetary policy remains accommodative.” It vowed to continue reinvesting principal payments and rolling over its holdings of Treasuries, agency debt, and mortgage-backed securities. Its $4.5 trillion balance sheet won't be shrinking anytime soon. Overall, the Fed's Statement was widely interpreted as dovish. Gold and silver prices both advanced on Wednesday following the Fed's decision and then fell on Thursday. All the noise aside, there is plenty of fundamental support for the case that the metals are at or near a turning point. 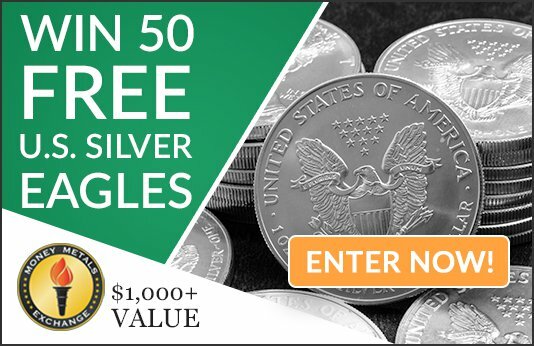 Demand for gold and silver coins will set a record this year. Meanwhile, spot prices have traded below mining production costs for much of the year – presaging supply destruction in the months ahead.That is a far more important development in the outlook for precious metals markets than anything the Fed did or said this week.